Without doubt, Boracay serves as a destination hot spot that attracts independent travelers, romantic couples and families with children of all ages. Most of these visitors come for the shops, food, culture and the endless amount of opportunities to lie on the beach and swim in swallow ocean waters. However, there is a another, completely different group of travelers that choose to spend their time on Boracay. These visitors are perhaps the most adventurous, seeking wind, waves and outdoor action over a relaxing day on the beach. For the more adventurous vacationers, there are a few resorts and hotels that are conveniently located close to numerous water sport opportunities including the increasingly popular sport of windsurfing. Whether you bring your own gear or rent from one of the in-town sport rental companies, you’ll find that each of these resorts is ideally located close to a beachfront offering the conditions needed for a great time out on the water. In addition, the resorts below vary in nightly rate, room size and on-site amenities, making it easy to find which resort is the best fit for you. Although the island of Boracay itself is very small, there are two distinct types of beaches. One that caters to those wishing to relax, tan and gently swim in the swallow waters and the other, a very windy, wavy section of coastline known as Bulabog Beach that isn’t fit for swimming but rather high action water sports. To make things easier, we’ve complied a list of hotels and resorts that cater to those looking to fill their days with wind and waves. 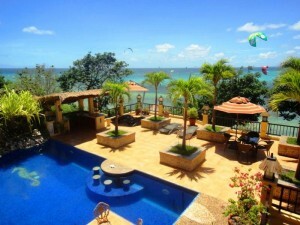 A small resort offering 6 luxury apartments that are great for families and large groups, the Boracay Apartments at 7Stones is located right on Bulabog Beach with easy access to both windsurfing and the D’Mall pedestrian street. The resort also offers a restaurant and a swim up bar that connects to the swimming pool, a beachfront location and a rooftop terrace that offers excellent views of the ocean. In total there are 6 apartments in 3 different styles, one of them offering 2 rooms. No matter the style, each features a large bedroom with en-suite bathroom, the choice of twin beds or a king sized bed, a refrigerator, TV, coffee and tea making station and furniture throughout. Each also comes with a private roof top area fitted with outdoor furniture and a view of the ocean. Due to the large size of each room, there’s ample space for windsurfing equipment, luggage and numerous guests. 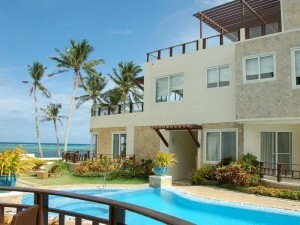 Unlike most resorts that cater to windsurfers, this resort is located on White Beach in Station 1. What still makes this resort applicable, despite it’s location is the wide variety of outdoor sports that are offered. As most windsurfers like to participate in a few other outdoor island adventures, Fridays Boracay Resort seems quite fitting. Here you’ll find boat rentals, ziplines, bicycle rentals, tube rides and water skiing along with windsurfing. This is all offered at the resort’s private beach. Not only are the outdoor options appealing but the room features as well. In each room has a cable TV, fully stocked mini bar, free Wi-Fi and the option of hot and cold water for showers. Due to the amount of activities and spacious rooms, the nightly rate is higher than some of the surrounding resorts and hotels. This price however, is said to be worth it in many of the resort’s reviews, which is a great sign for those who are on the fence with their budget. A resort popular with every type of traveler, the Palassa Private Residences offers 10 rooms in 6 different categories, allowing everyone the chance to find the best fit. Though the rooms may be different in size and location, each features a desk, mini bar, free Wi-Fi and air conditioning. The resort also offers a spa and laundry service. Because this resort is directly on the beach, it’s easy to get out of bed, have some breakfast and jump right into a day of windsurfing without having to worry about a long walk out to the beach. Reviews also suggest that this resort is perfect for those who want to escape the mainstream Boracay scene and experience a quieter side to the island without having to pay an arm and leg. A small 4-star beachfront resort that’s reasonably priced, the Rieseling Boracay Beach Resort is located right in the heart of windsurfing capital. 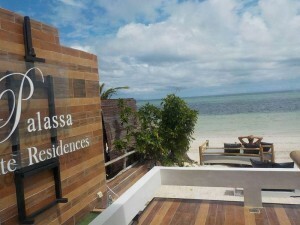 Outside of the windsurfing possibilities, guests will also find wave watching and kite boarding. On-site there’s a beach bar and deli and a swimming pool. For those days that you want to take a break from the water, there’s a shuttle service that takes passengers straight from the resort to D’Mall. This is a great opportunity to explore White Beach as well. Back at the resort, each of the 8 rooms feature a private terrace, Wi-Fi, coffee/tea making area, a mini bar and air conditioning. Although the waters may be rough, this resort is known for offering a quiet escape from the hustle and bustle of White Beach. With great reviews all around and a fair price, this resort is certainly tough to beat. 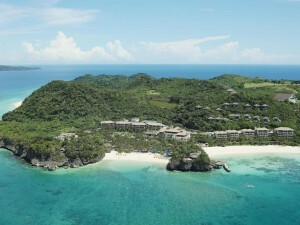 For those who love to mix high class luxury with adventure, the Shangri-la’s Boracay Resort and Spa is perfect. Here guests will find 219 rooms, suites and villas that sit next to 2 private beaches, a swimming pool, several bars and restaurants and a health club. The rooms themselves offer views of the ocean or the resorts’ landscaped gardens, private terrace, marble floored bathrooms, a TV, Wi-Fi and much, much more. One of the main reasons that this particular resort is great for windsurfers is the appeal of private beaches removed from the larger crowds of White Beach. But there’s another reason that may be equally as important- the numerous amount of other high energy outdoor activities. Here windsurfers will also be able to partake in jet skiing, kayaking, parasailing, deep sea fishing, catamaran sailing and more including a dive center. A small resort with apartment styled rooms, the Palm Breeze Villa offers guests a larger space at a budget friendly price. Here rooms include a walk in closet, air conditioning and a TV. In addition, Wi-Fi is included in the nightly rate. Due to the large size of the ‘rooms’, windsurfers who bring their own equipment will find that there is plenty of space to put it all. On-site there’s also a swimming pool with a view of the ocean and a massage area for after those adventurous mornings. Though there aren’t any restaurants on-site, there is a breakfast buffet available and restaurants are located close by. Because of the close distance to the windy lagoon and the great reviews, this resort serves as a great destination for professional and novice windsurfers.